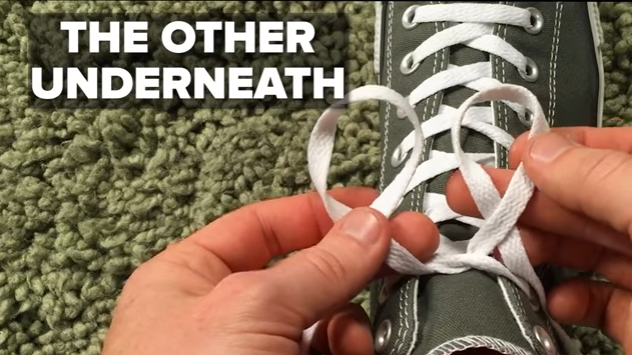 You’re Tying Your Shoes Wrong: After learning how to hold your coffee mug in a right way here is a simple hack which helps in your daily activity. 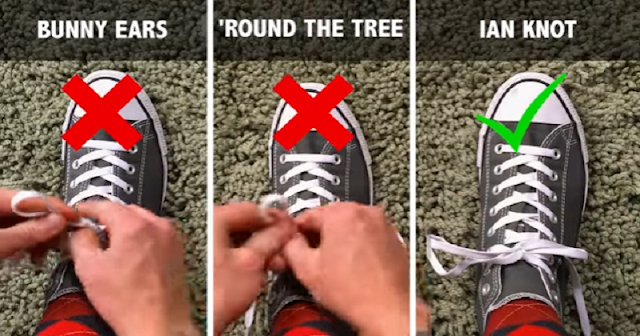 When did you learn to tie your shoe lays ? Probably in schooling. What if I say many of you are doing it a wrong way this whole time. 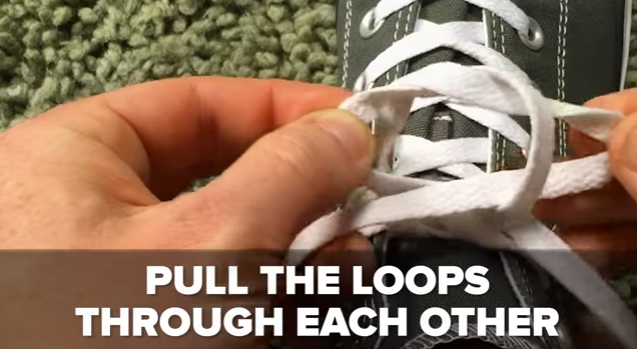 Step 1: Take your right hand and use your thumb and forefinger to grip one of the shoelaces. 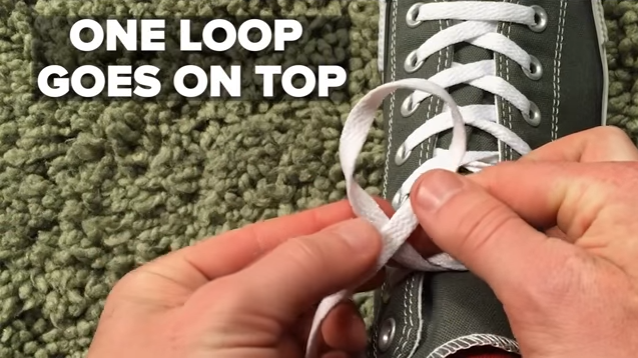 Step 2: Take two loops as shown below. Step 3: Pull your fingers towards each other so you feel some tension. This is “Ian Knot” Technique for you.